Dorner’s newly redesigned AquaGard 7350 V2 Series is engineered for industry standards and excels at safety and performance. 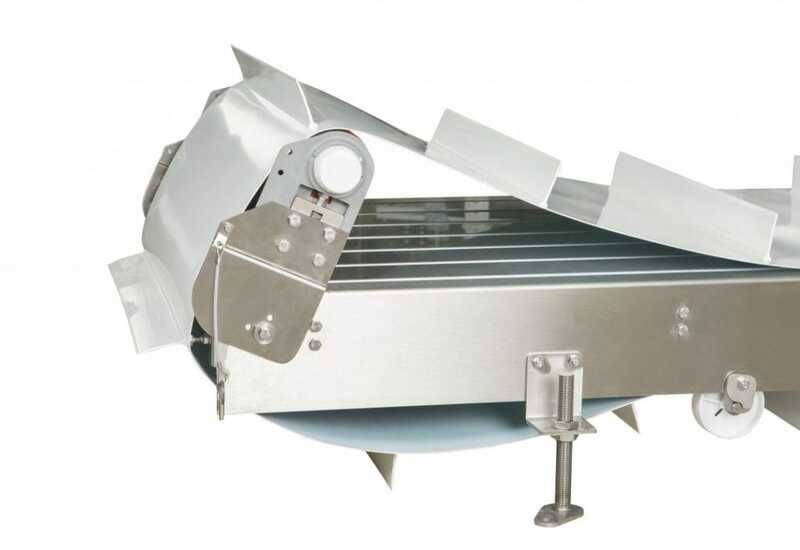 The AquaGard 7350 V2 is built for numerous sanitary applications within baking, snack food, pharmaceutical, pet food, packaging and other industries that require occasional wipe-down cleanings of the conveyor. The new conveyor comes in straight belt, as well as modular belt straight and curve models. Belted LPZ, modular belt LPZ and positive drive models will be available in the coming months. The AquaGard 7350 V2 is the safest, most advanced modular curve chain conveyor in the industry today. 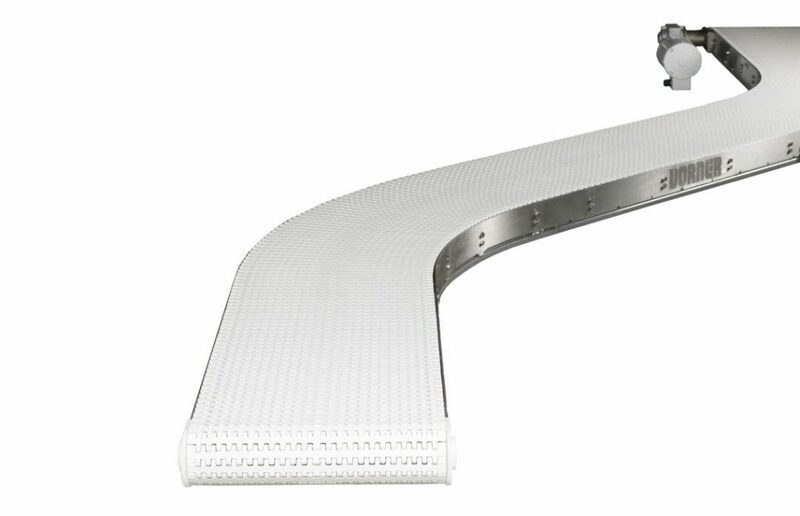 The modular belt curve conveyor has no openings greater than the international standard of 4mm, even within the curves, which increases safety by eliminating pinch points for operators. Added safety measures are also achieved by covering the upper and lower chain edges, and fully containing the drive system, which reduces catenary belt sag and conveyor noise. Space reduction is another improvement on the AquaGard 7350 V2. The modular belt conveyor system is designed to maximize available plant space by keeping the footprint as compact as possible. Infeed and outfeed sections are a compact 18”, further saving valuable floor space. 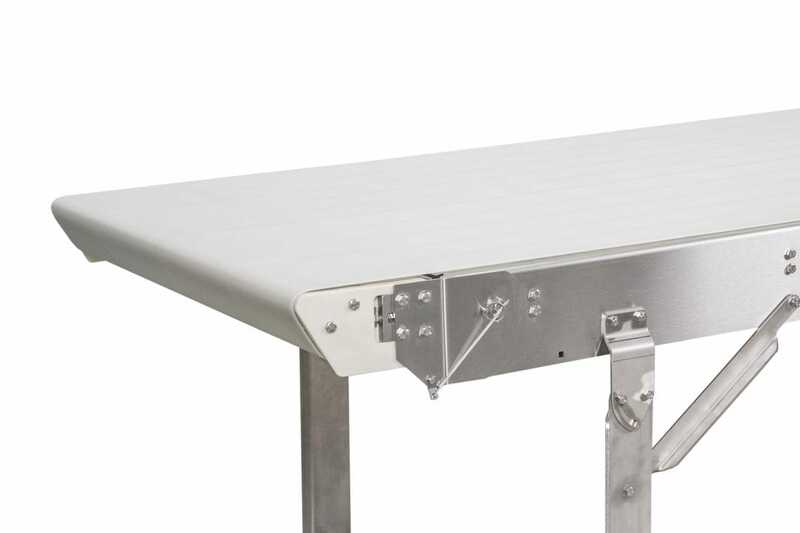 The conveyor comes with an improved tail design for superior drive support. The addition of a tip-up tail on the modular belt (straight) gives greater access inside the conveyor for cleaning.